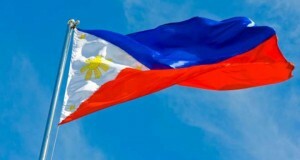 MANILA, March 24 (Reuters) – Southeast Asia is unlikely to hit a target of integrating its 10 economies by 2015, but the group has much potential to be a trading hub for Asia once it fully creates an economic community, the Philippines’ finance chief said on Monday. Members of the Association of Southeast Asian Nations (ASEAN) must accelerate creation of common customs procedures and harmonise its rules to further strengthen intra-regional trade, Cesar Purisima told the Reuters ASEAN Summit. In 2010 through 2012, intra-ASEAN trade has risen by an annual average of nearly 18 percent, far faster than global commerce has grown, he said. In 2007, ASEAN leaders set a goal of creating an ASEAN Economic Community by the end of 2015. 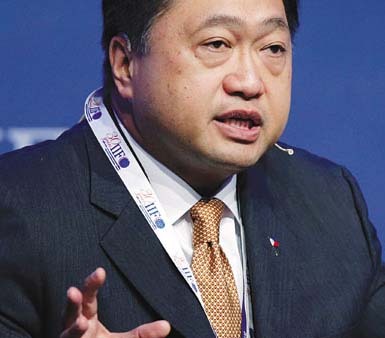 Purisima: Calling for regional integration. ASEAN, whose 10 members include wealthy Singapore and impoverished Myanmar, aims to eliminate non-tariff barriers and remove obstacles to labour flows in the region of 600 million people. The region has shown that it can be a major market — with a combined GDP that could rank as the seventh largest in the world, aggregate population that could be the third biggest and one of the youngest, and total tourist arrivals that top any country in the world, Purisima said. Foreign direct investment in ASEAN also outpaced that of China last year, the financial secretary said. Foreign investors “are now putting more money into the 10-member countries… This reflects the fact that they see if the integration becomes a reality, ASEAN can fulfil its vision of being the hub of intra-Asia trade,” said Purisima, a certified public accountant whose debt management programmes and revenue-raising efforts helped the Philippines’ credit rating change from junk status to investment grade last year. He said the Philippines is working on its own challenges and inefficiencies, including creating a much-delayed national “single window” network that when linked with others in the region will allow faster processing of trade receipts and reduce smuggling, which depresses state revenue. “The fight against corruption is…not going to be done overnight. It is going to be a journey, the important thing is we don’t lose sight of the fundamentals,” said Purisima, who late last year replaced the top management of the Customs agency. 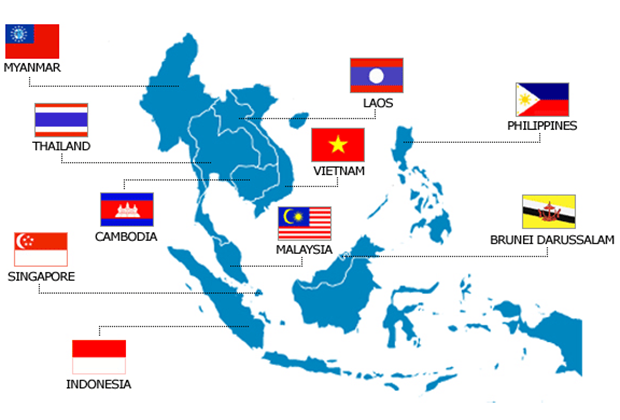 By the end of 2015, the ASEAN will be united in a common regional market, the ASEAN Economic Community. This will present great opportunities but countries need to be fully prepared. AEC 2015 envisions a single market and production base, a highly competitive region, a region of equitable economic development, and a region fully integrated into the global economy. The highly-anticipated scheme will place ASEAN at the centre of the global investment map and will increase trade within and beyond ASEAN, creating wider job opportunities for its people. However, full liberalisation does not come without a price. 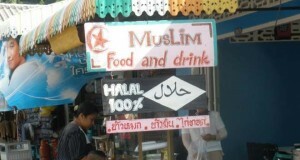 Several countries fear the new integration will negatively affect local businesses. In the past year, the member states have started to voice both their excitement and concerns louder as the implementation of AEC draws nearer. For businesses, AEC is considered to be the region’s official game-changer. Besides having lower trade barriers and increased trade flows, they can access larger markets and enjoy the same incentives as local businesses. ASEAN itself is home to more than 600m people with a regional GDP growth predicted to increase by 4.7% this year, so businesses can expect further doors of new investment opportunities to open. The most appealing aspect of AEC is the full elimination of both tariff and non-tariff barriers for its members. While it will provide more business opportunities, the biggest test for the more protectionist countries will be easing domestic laws to allow investment, so they will not lose competitiveness and lag behind other nations. Non-tariff barriers refer to restrictions that result from specific market requirements that make importation or exportation of products difficult, and have long been considered a thorn for businesses. The full elimination of NTB will create a major relief and have a large impact on business expansion within the region. However, while opening up to the market is highly encouraging, adapting to the AEC may become a double-edged sword. There is a sense of urgency for businesses to wake up to the opportunities and threats that the newly liberalised regime will bring. First, think about protecting businesses from the explosion of new competition in ASEAN’s future market. 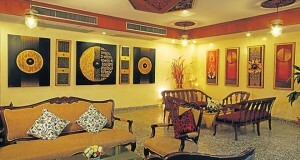 Businesses can expect a sudden flood of other players in the industry fighting to grab market share in their markets. Tighter competition equals less room for flaws, which means in the FMCG (fast moving consumer) goods sector, any additional safeguards that ensures the safety of their products will be an essential value-add for customers. Businesses will need more understanding of their potential overseas markets, to ensure a seamless market entrance and strong opening foothold. With the ongoing political and economic turmoil, it is imperative for businesses to take a further step in avoiding the pitfalls of trading in new and unknown markets, whilst supporting new sales growth with the correct tools. The AEC is a work in progress, with each member state being challenged to counter their own internal issues. The global economic outlook remains relatively vulnerable to changes, and the slightest shifts in the environment can bring a ripple effect to the region, which makes up almost 9% of the total world population. Still, the opportunities AEC offers for business is boundless. Companies that fail to prepare properly for the long-awaited economic integration will miss out on a key investment opportunity in an increasingly powerful group of nations that influences and shapes the global economic landscape.